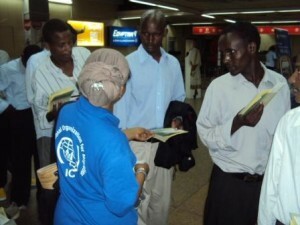 DAR-ES-SALAAM – GOVERNMENTS in East Africa are devising strategies to deal with the situation of illegal migrants stranded on their way to South Africa. Ethiopia, Kenya and Tanzania are among countries struggling to manage these flows while ensuring that the human rights of the migrants are respected and protected. Officials from the three countries are meeting in Tanzania until Thursday to deliver a final comprehensive roadmap to address the situation. The meeting is held with the support of the European Union-International Organisation for Migration (EU-IOM) Joint Initiative for Migrant Protection and Reintegration in the Horn of Africa. Technical experts from the three countries, with the support of IOM, will develop a draft outcome document to be adopted by the states at senior political level. The proposed roadmap will address issues pertaining to the trafficking in persons and smuggling of migrants in the region. Qasim Sufi, IOM Chief of Mission in Tanzania, appreciated the efforts of the governments in curbing irregular migration flows in the Southern Route, as the route to South Africa is known. “Hopefully the donor community will continue to step forward to support efforts for the safe return and reintegration of vulnerable migrants,” Sufi emphasised. South Africa, the continent’s most advanced economy, has emerged the destination of choice for migrants seeking better economic opportunities. The migrants from poor countries often fall prey to human traffickers making the most of the demand by the asylum seekers to reach the country.